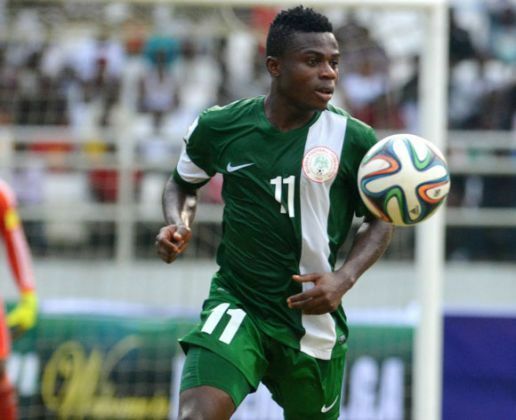 Recuperating Super Eagles attacker, Moses Simon has not been dropped after all and was on the plane to London with his team mates ahead of the pre-World Cup friendly match against England. The news broke a few days ago that Simon would not be part of the team to London and Russia for the World Cup after a scan showed he would not be fit for three weeks. However, a fresh scan in abuja on Tuesday gave a ray of hope and he would now need a 3rd scan in London before the coaches and medical crew make up their minds on the final 23 players for Nigeria’s World Cup party. 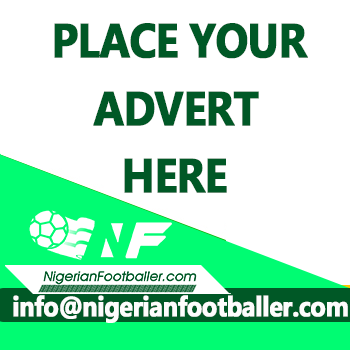 Captain of the team, Mikel John Obi was joined on the chartered flight from Abuja to London on Wednesday afternoon by deputy skipper Ogenyi Onazi, defender Kenneth Omeruo and pacy winger Ahmed Musa. Mikel, Onazi, Omeruo and Musa all represented Nigeria at the 2014 FIFA World Cup finals in Brazil, and alongside Chelsea FC wingback Victor Moses (who was also in Brazil and who will join the contingent in London) constitute the spine of a young squad inspired to dazzle the world in Russia. The Super Eagles will train at the Wembley Stadium (venue of Saturday’s clash with England’s Three Lions) between 5pm-6pm on Friday, after a pre-match press conference scheduled for the Stadium’s conference room at 4.15pm.